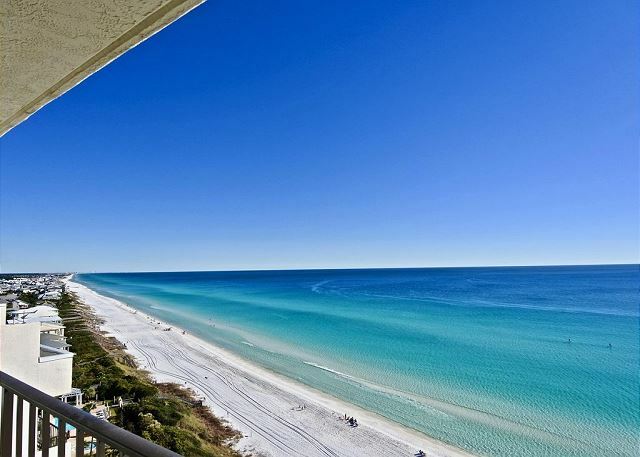 Come experience a stay at 'The View', a beautiful 2 bedroom, 2 bath Gulf front condominium that overlooks the sugary white sands and crystal clear waters of the Emerald Coast. 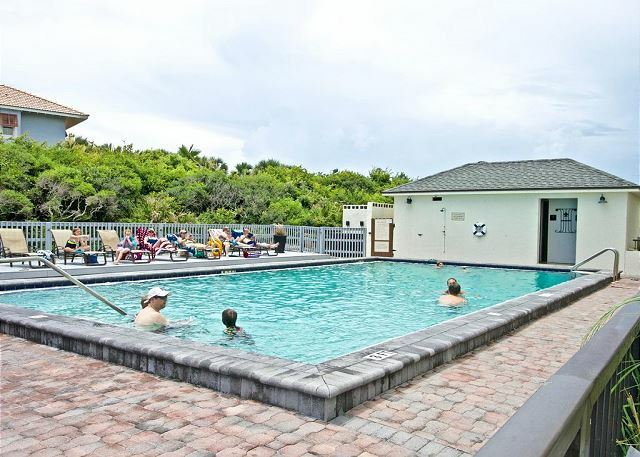 Located in the unique and buzzing community of Seagrove Beach, this complex is only a quick walk, run or bike ride from local favorites and popular communities such as Seaside and Watercolor. Ride the convenient elevator up to the 15th floor, where The View is endless. 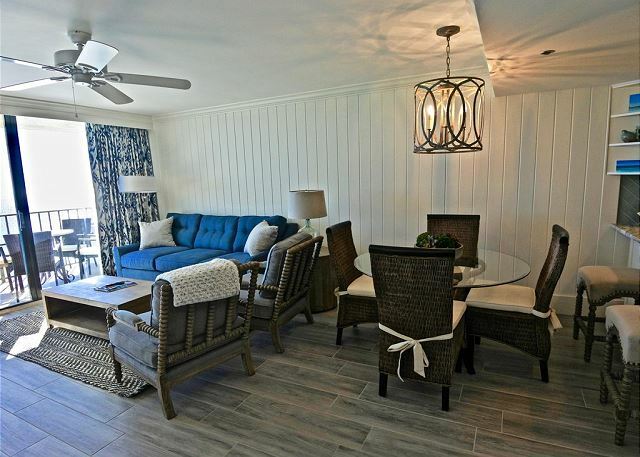 Upon entering the unit, there is an open living, dining and kitchen area, perfect for entertaining and enjoying those beautiful 30A sunrise and sunsets. 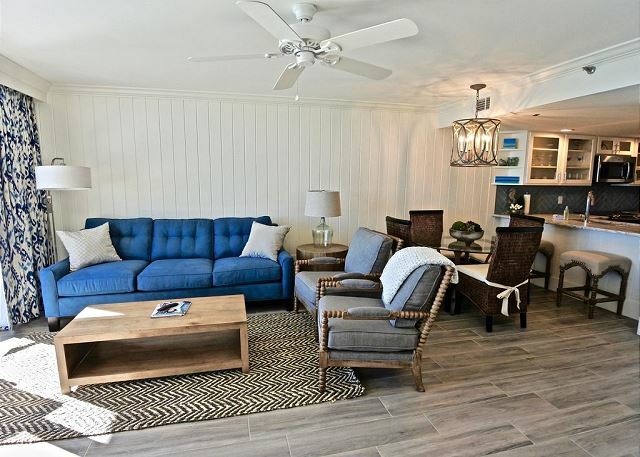 Off of the living area you will find a guest bedroom with a Queen bed + twin bunks and a connecting full bath, and a master king bedroom suite with a connecting full bath with breathtaking views of the Gulf! 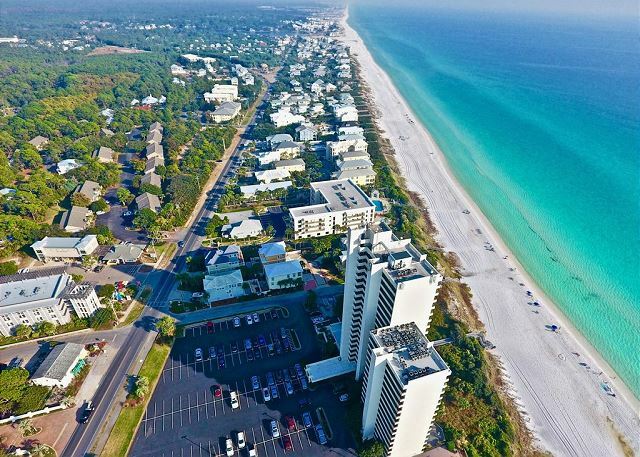 This condominium complex, One Seagrove Place, is the tallest multi-level complex along 30A, providing for some of the best views our beaches have to offer. 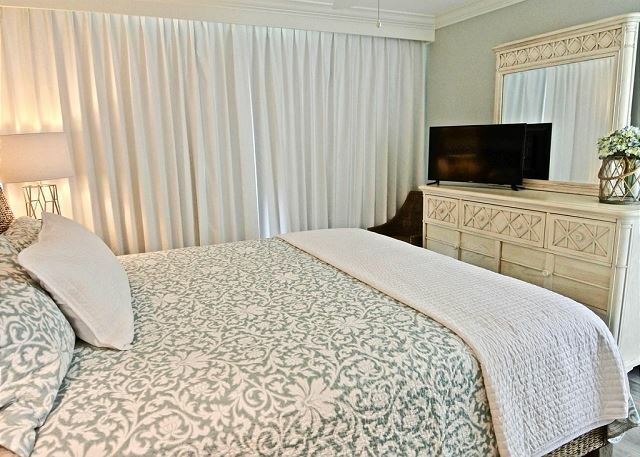 With all this area has to offer, you and your family are sure to have a stay to remember at 'The View'! Great condo. Updated, clean, and provides awesome views for miles. Guest bedroom was a plus having a full bed and twin bunk beds. Great location with easy access to great restaurants. Thank you for your review Robert! We couldn't agree more - this one is aptly named - The View. 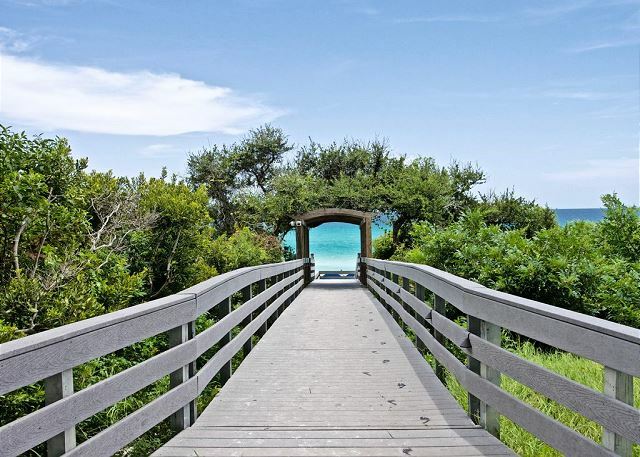 It does go on for miles - miles of emerald green waters, rolling waves and pearly white sand! And had you been here last night you would have seen one of the most gorgeous sunsets ever!! A quick ride down the elevator and you are on the sand. A quick walk across the street and you are at Brozini's Pizza - a 30A treat you do not want to miss! 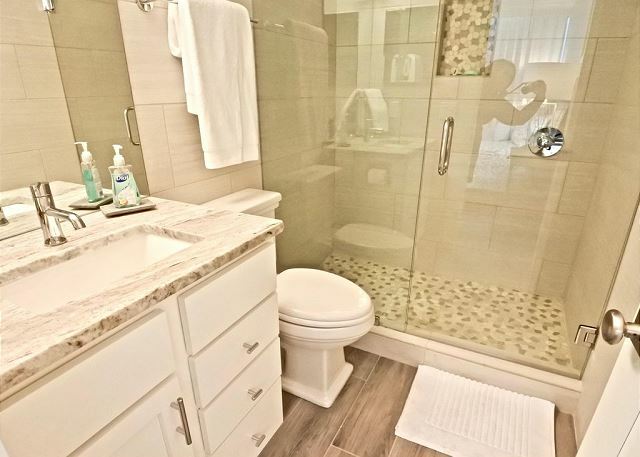 There are so many good things to tell you about this condo but you have to experience it to know just how special it is! Call Benchmark today - this is an experience you do not want to miss! 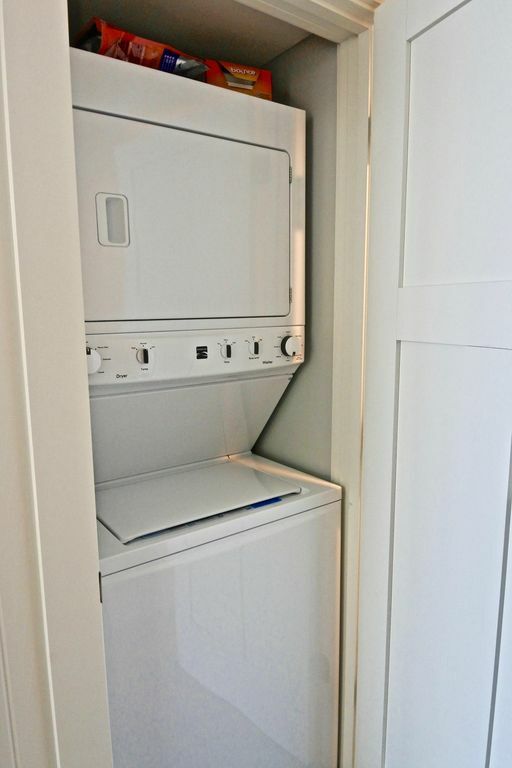 This unit is beautifully appointed. I have stayed in many of the units in OSP and this one far exceeded my expectations. They have done a wonderful job renovating the unit and especially the kitchen. Moving the cabinets back from the original design opened up the kitchen and it appeared much larger than other units. I would definitely recommend this unit if you love staying at OSP. Thank you Darlene! We couldn't agree more - this unit is gorgeous! The owner takes pride in providing a cozy place for you to relax and enjoy! There is a reason this one is called "The View" - the view from the balcony is nothing short of amazing! You will be mesmerized by the turquoise waters, the dolphins and other marine life playing nearby, the warm white sand - it's all here just waiting for you! Don't delay - dates are filling up quickly. You deserve this vacation - call Benchmark today and find out how easy it is to make your reservation! This condo was absolutely beautiful. 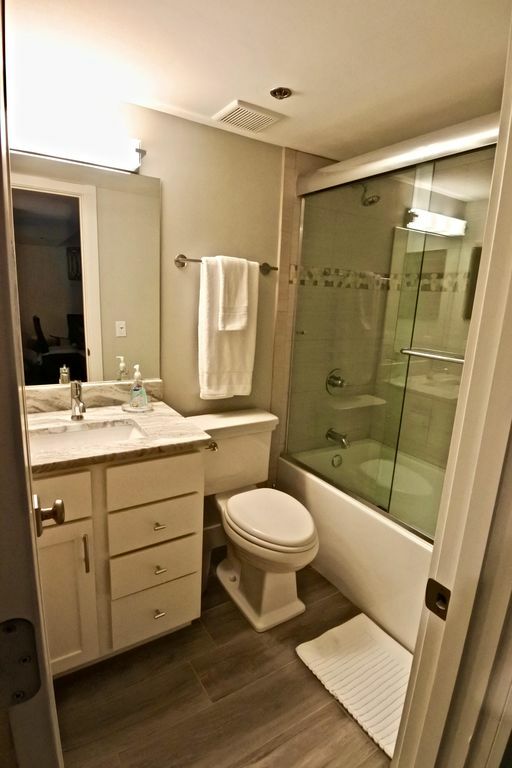 The attention to detail that occurred during this renovation was extremely well done. We have rented many condos in this building over the past 30 years but this was by far the best. Of course the ocean view seeing from Destin to Panama City can’t be best. Thank you Betty! We enjoyed having you as a guest at The View! This unit is certainly aptly named - the most amazing view from the balcony will keep you gazing for hours on end! 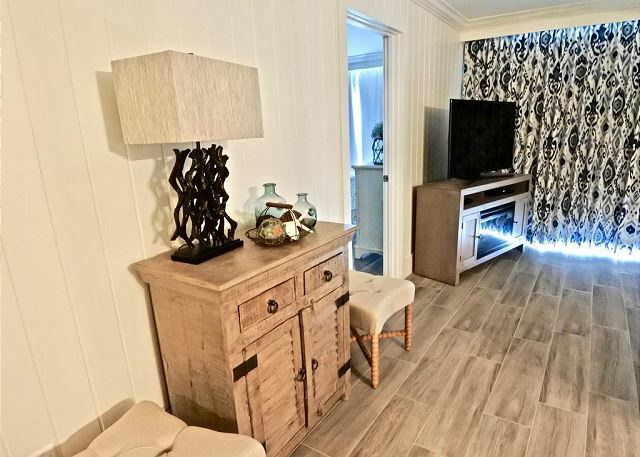 You will not be disappointed in the furnishing and decor - the owner spared no expense in this remodel. It is very comfortable and cozy and did we mention the view? 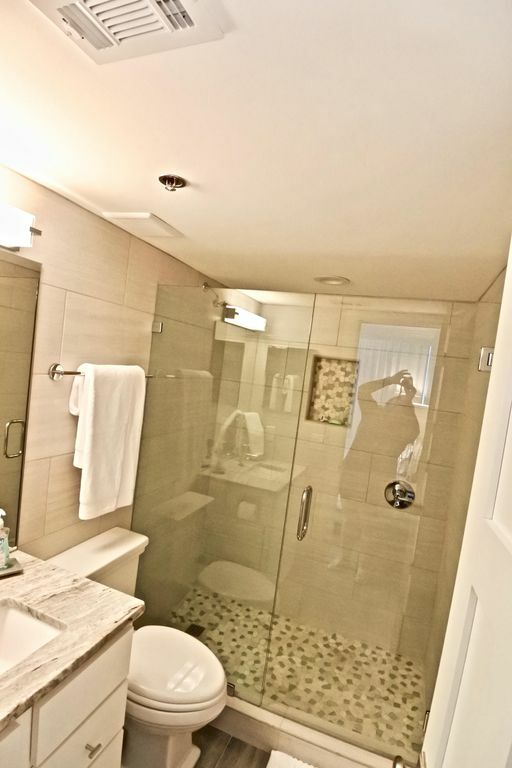 The unit is also within walking distance of several eating establishments and the bike/walking path goes right in front of the complex for your daily exercise. This one books quickly so don't be left out - call Benchmark today! Great time! Awesome place to stay! We really enjoyed our time! 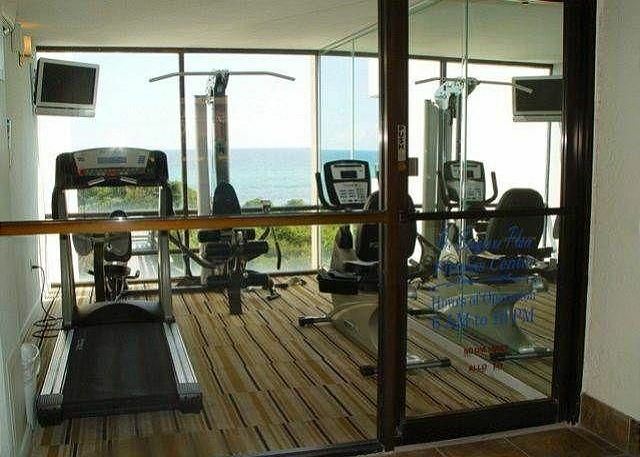 This condo is top notch and the view is perfect. We had everything we need to cook during our stay. Loved seeing the dolphins on several occasions! We will be back! Fantastic week at The View! 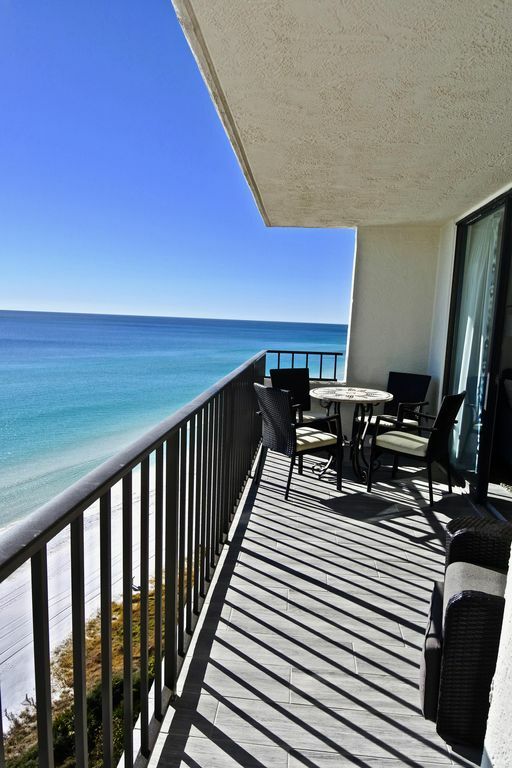 We had a wonderful stay at The View at One Seagrove Place. We arrived an hour or so ahead of our check-in time and the staff was gracious enough to remotely unlock the door so that we could get our vacation started. The unit was spotless, beautiful and had the view we had been promised. 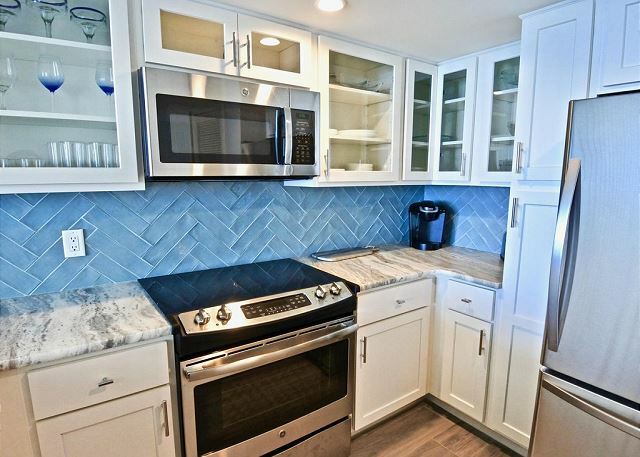 It is newly and tastefully decorated with all the kitchen utensils you might need. Note: bring coffee filters! Also, some extra trash bags might be nice. While another beach chair rental service is recommended by Benchmark, we found it best to rent from the service that has an agreement with the building if you want any chance of front-row seating on the beach. They're less expensive, too. All in all, a wonderful experience! Thank you for staying with Benchmark and for taking the time to submit your review. It's hard to not love The View! It is centrally located to anything you might need or desire and of course the absolute breath-taking view. There really are no words to describe it accurately! 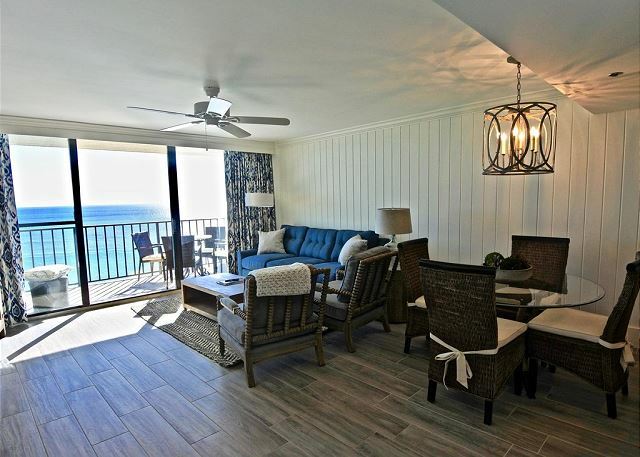 The unit is - as our guest said - beautifully decorated and recently remodeled. 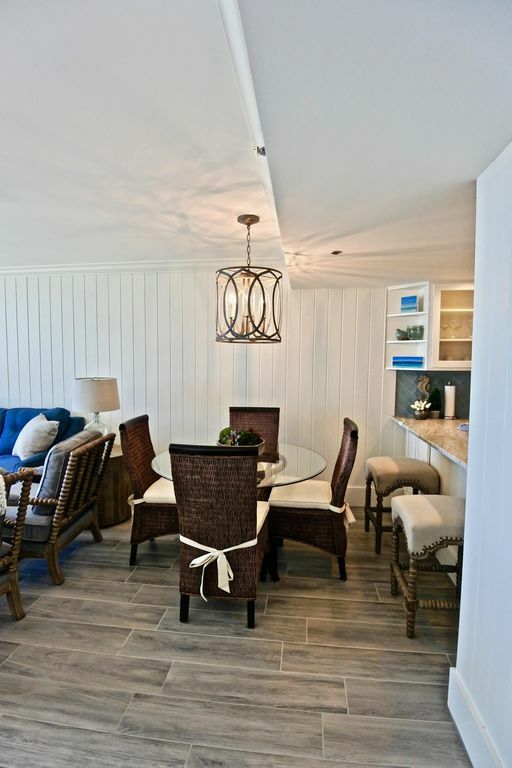 It is such a warm and inviting space - a great place to make those family memories that will last a lifetime! 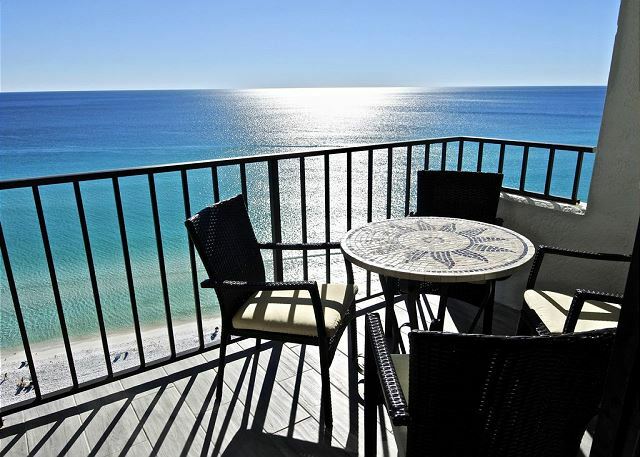 This unit is a very popular vacation spot so call today - you don't want to miss out on The View! Enjoyed our experience on 30A. Liked being able to walk to various venues in the area. Thank you for taking time to submit your review! We are so glad you enjoyed your time at The View and are excited to have you back! 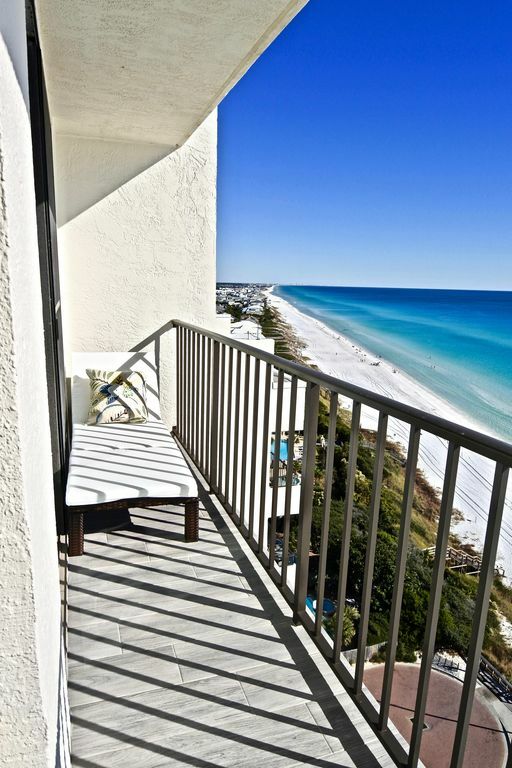 Come enjoy amazing views from this balcony and there are so many activities to enjoy all along 30A. Give us a call so we can set you up with your beach vacation today - making memories that will last a lifetime! Very pleased with the beautiful condo. Views were amazing, accommodations lovely and cannot wait to come back! Thank you so much for taking the time to submit your review. It is hard to beat this view!! Had you been on this balcony watching the Gulf a few days ago you would have seen the two hump-backed whales that were traveling along the shore!! 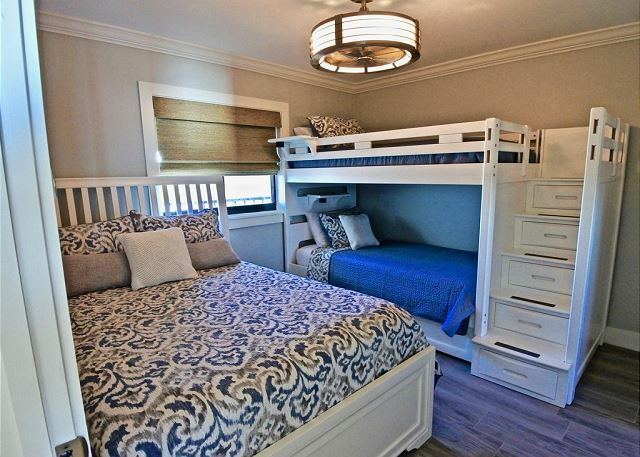 This unit is truly beautiful and so relaxing - have everything you might need to have the best vacation ever! We do hope you will join us soon! Just Amazing in every way! My sister and I loved this beautiful retreat so much. We had both been working so much we needed a few days away! 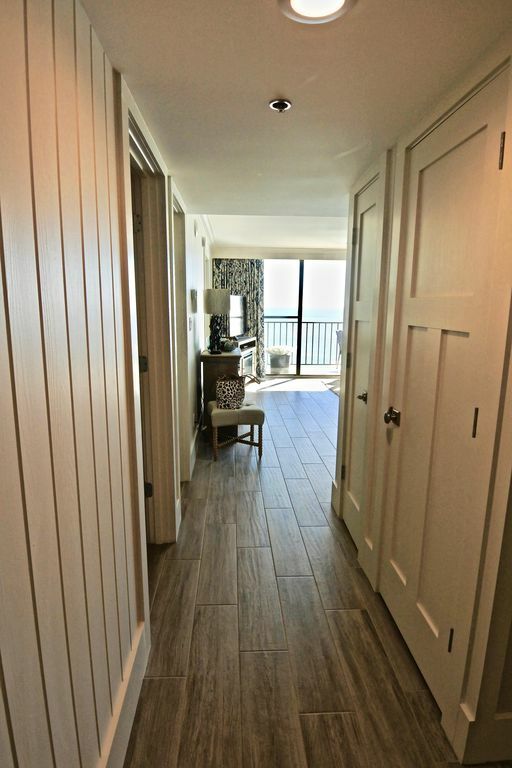 This condo has it all, amazing view, ease of access to all amenities, chair service on the beach , great location, amazing view. I will stay here again! Thank you for submitting your review! This property is aptly named - The View! Not only is the outside view fantastic but the inside is great as well! Thank you for joining us and we would welcome you back anytime! 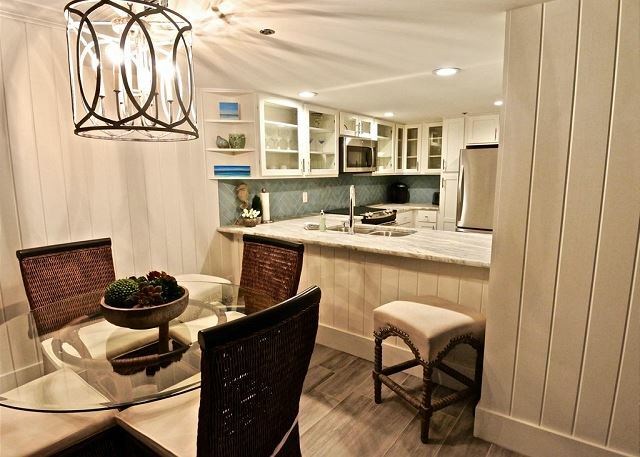 "The View" is an impeccable unit and a fantastic place to stay while on 30A. 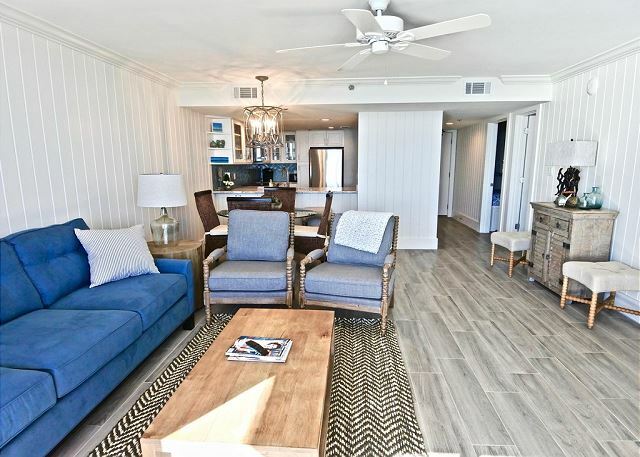 The unit has been beautiful updated, tastefully decorated in beach colors, and extremely comfortable. The kitchen has everything a cook would need if you plan on staying in for meals. I felt like when I woke up and looked outside, I was on a cruise ship since the water was so beautiful! Great stay at "The View"! Thank you so much for submitting your review! Glad you enjoyed your stay - "The View" is a great name for this condo for sure!! If there are any comments or suggestions that you might have as to why you gave the rental manager a 4 rather than a 5 we would we love to hear from you! 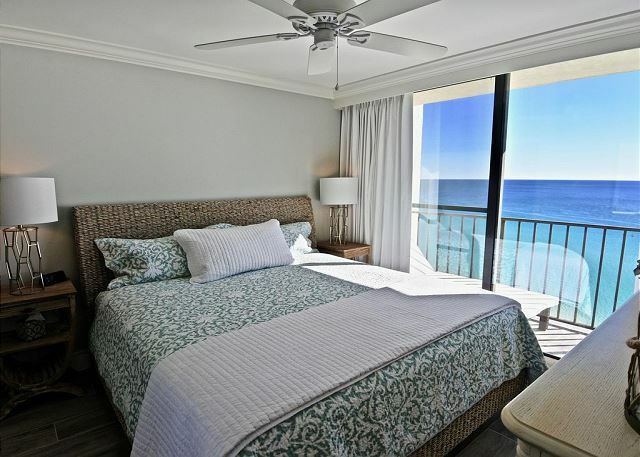 We are always looking for ways to improve to ensure that our guests have the best vacation they could possibly have while on 30A! We do hope that you will join us again soon!